For me purses are first about function but I also want them to be pretty. So I am loving my new purse charm that I think totally dresses up my new gray purse. If you guys follow me on Instagram you may have seen my pictures from the Bella Bash from a few weeks ago. 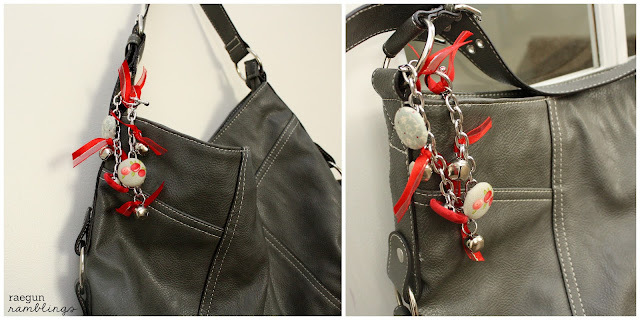 While we were there we got to check out a bunch of new products and make some really cute bracelets which I decided I liked a lot better as a purse charm so I wanted to share with you how to make your own. It’s so easy all you do is make a few fabric covered buttons. I made 3. At the party we used this really neat tool by Imaginisce called the i-top that made covering the buttons a cinch. Aren’t Kaysi and Becky doing a good job? I do have to say it was a lot of fun using the i-top. Then you attach a few jump rings evenly along the bracelet by pulling the metal to the side to form a gap. Next slice the buttons and bells on the jump rings how ever you like. Finally cut a few strips of ribbon and tie them to the jump rings. It makes a fun bracelet but I especially love it to dress up solid covered purses. So fun right? Also here are a few more pictures from the night and the awesome ladies I was able to hang out with. 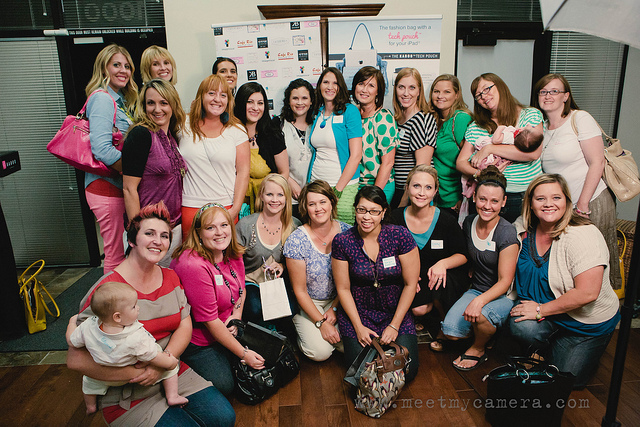 There were so many awesome bloggers. It was great to finally connect in person with Becky and Nikkala from The Crafting Chicks and I always have a blast with Debra and Vanessa. It was so great to make a ton of new friends. It was hard to keep track. There were a lot of girls. And we were pampered with massages, tasty food and more. 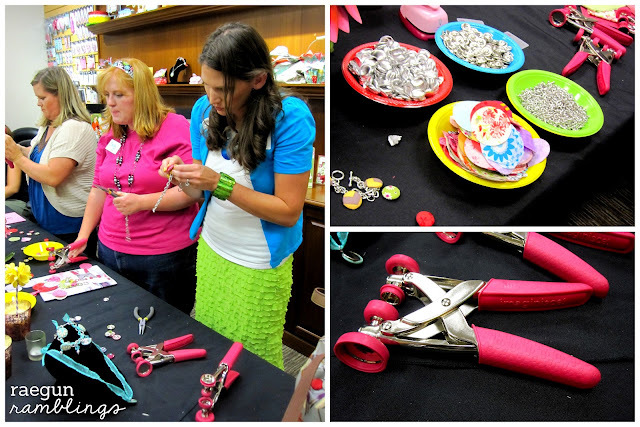 It was such a fun night at Durham Brands. 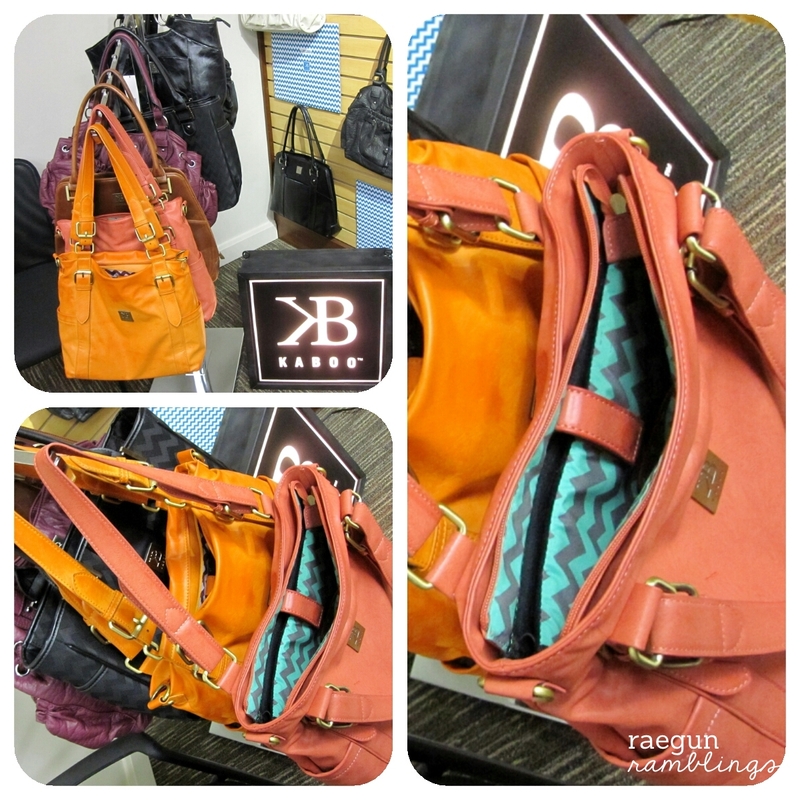 Oh and just in case you didn’t see them before here are those Kaboo bags I was drooling over. I am kind of obsessed with the coral one. Um yeah. They will be available on October 1st, gorgeous right? Those purse charms are adorable! It looks like you had a great time making them, too, talk about win-win. 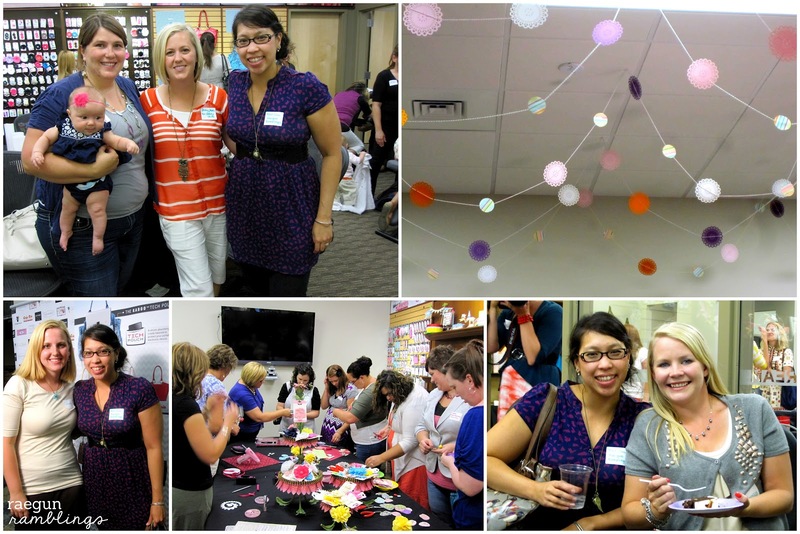 Seeing all those fun ladies together makes me wish I lived in a more blogger dense area! Looked like a lot of fun!